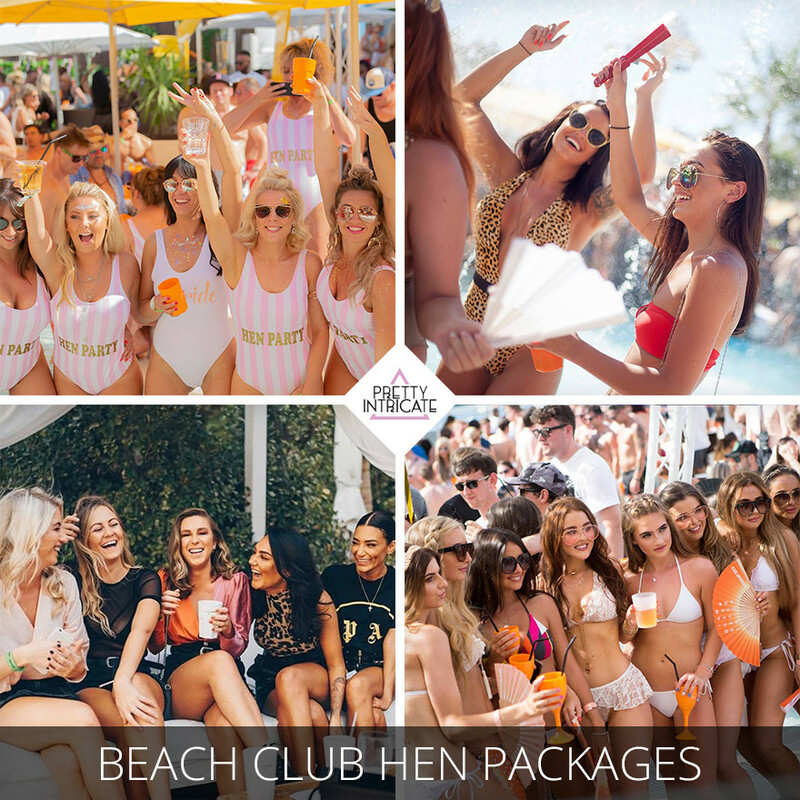 Why choose an Ibiza beach club package for your hen party? An Ibiza beach club day is a great way to make the most of the Ibiza sun for an unforgettable environment to relax and enjoy with your Ibiza hens. This will be a day of drinks, laughs, conversations and plenty of eye candy for sure! "We want a beach club day, but what else are we doing?... how much is it all going to end up costing!?" "Shall we book tables or beds?" " Where would be the best area for a group of our size?" "What day shall we go?" "What music will be on?" "Shall we prioritize booking our beach club day over other activities?" "How much will we need to spend?" "Will it be suitable for everyone in the group?" "How will we organize everyone's payments?" Don't worry... We are here to help! We can help choose the best days to go, the most cost effective bed or table configurations and can even provide your own group booking page that everyone can secure through individually. Our packages can include transfers throughout your holiday, drinks packages, meals, boat trips, events and a big range of hen party activities that will save you a fortune in spending money throughout your time in Ibiza while making the most of your holiday.